Social media is changing how we connect with not only people but with brands and organizations. A fairly recent company, SnapChat — an app that lets you send photos and videos for up to ten seconds to mass amount of users — has become such a popular social media outlet it belongs in the category with Facebook and Twitter. While it was first introduced has a way for people to stay connected via photos, Snapchat is now a way for organizations to promote their brand through videos and special content. This includes the sport realm as well. Four out of the five major sports leagues (NBA, NHL, MLB, MLS) in the US have official Snapchat accounts. While the NFL does not have an official account for the league, 12 out of the 32 teams have accounts. This is a great way for the organizations to connect with their fans and consumers. The organizations can post footage of games and events that fans otherwise would not be able to see. 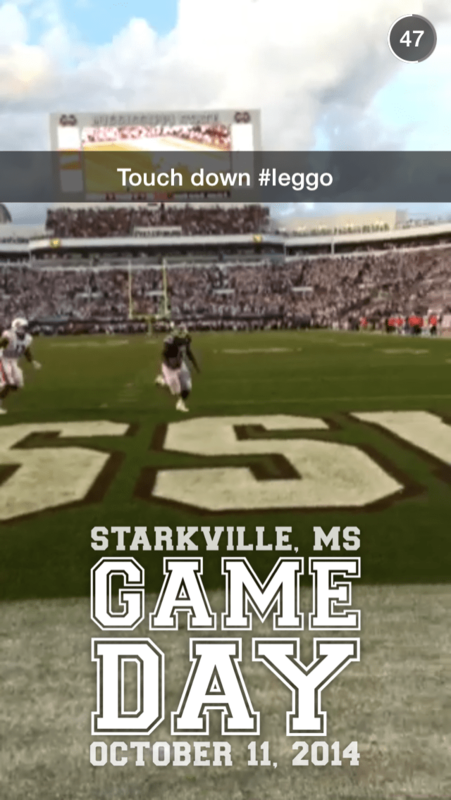 Snapchat has also partnered with ESPN’s College Football Gameday to bring live coverage to people all over the world through people attending the events. Snapchat first started testing the crowd-sourcing technique at music festivals such as Lollapalooza, and ESPN jumped at the opportunity. Snapchat’s success through sports has lead them to hire former Nike’s Global Director of Digital Eric Toda. Toda hopes to create “collaborative, decentralized live streams of their events.” He also is working with companies to help make their Snapchat content feel authentic. How else could Snapchat improve on their crowd-sourcing techniques? Snapchat has done a fantastic job with sports. They have amazing Stories for all the professional sports leagues. I would imagine they are going to push college football very hard this fall. 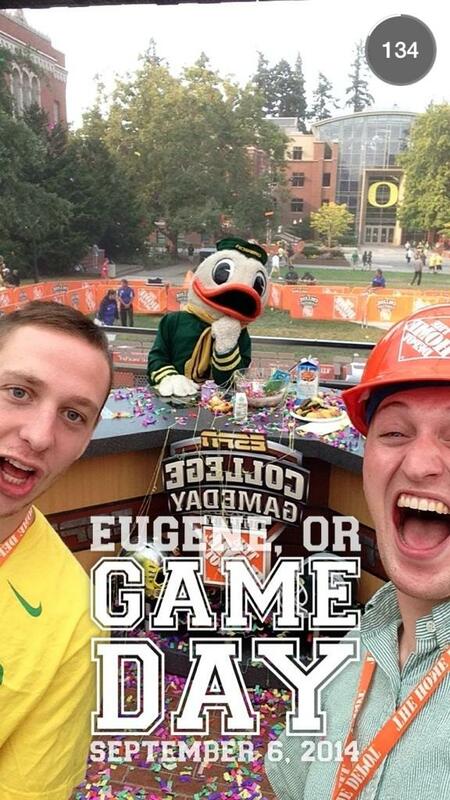 Every college football team in America should have a Snapchat account now!